With Christmas now coming up, it’s becoming more and more apparent to me how much time we all spend online and how much more time we should be spending living in the present moment. I for one feel like I spend most of my time either sat with my phone in my hand or I have perched myself in front of my laptop. It makes me feel a bit guilty when I think about how much time has been wasted sat online and how many other things I could be doing. It’s always good to have sometime away from the online world and be back in the moment with whatever the hell we’re currently doing in the moment in the real world. It can be a good way to refresh us mentally. It gives us the chance to be completely by ourselves and focus on helping ourselves rather than worrying what’s going on online because we all have that fear of missing out on something that will always be there. So I thought why not put a post up to help all of us (myself included) to fully unplug from the online world this Christmas and help us make the most of the festive period ahead! 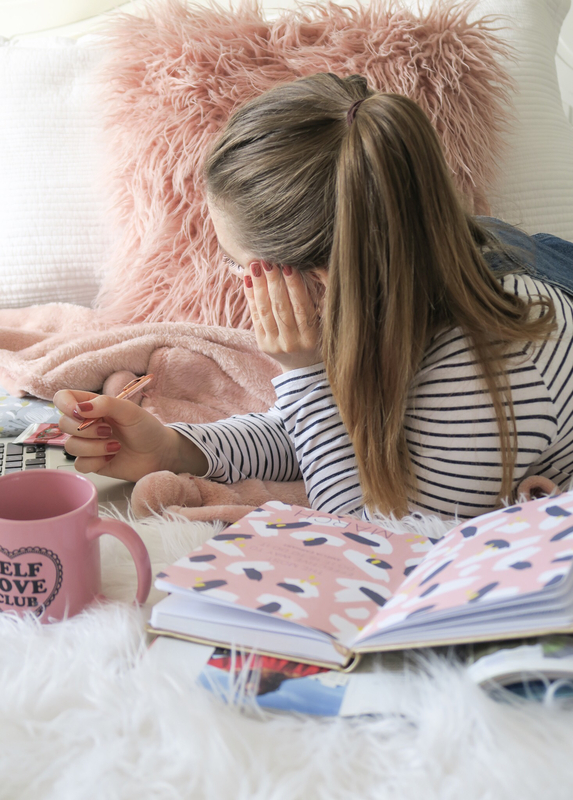 I spend most of my day online, either blogging or catching up on social media for my blog work, so I like to schedule in sometime away from the online world in the evenings and preferably before bed. Although this can be difficult, as I know most people will be online then so I have to fight the urge to check up on what everyone is getting up to, but I know that come the morning it will still be there for me to have a look when it’s more suitable. The best thing for you to do if you really want to make this work is pick a realistic time for yourself to switch off at. You want a period which fits into your schedule and works best for you. This might be late at night, an hour or so before you plan on going to bed, to give yourself that time to unwind from the day and get ready to sleep. Other times you could consider include lunch times, where not many people are online at this time or you might not want to mix your play with your work hours. Perhaps early mornings could be a no online time, I know this used to work for me well when I used to leave the house every morning for college or school. It helps get you in a better mindset and prepares you for the day ahead with limited distractions. Once you’ve identified your time, you’re going to want to repeat your time offline at the same time every single day. This could even apply at weekends. We all know the more we do something, the easier it becomes, so if you plan on doing this every single day without fail, the easier it will be to do and it will soon become a habit you carry out daily. If you’re really serious about staying offline and fully unplugging, then do not give up straight away and keep trying hardest. It won’t be easy straight away as I already said, but it will be worth the effort once you do get to a position where you can just switch off without having the urge to go back online. You’ll soon see the benefits once you pursevere with it. It can be easy to forget about scheduling in sometime when you’re constantly busy or have had a bad day. But setting yourself some reminders can be a great way to keep at it and keep going with it. Ways in which you can remind yourself could be asking someone to check in with you to see if you have done it, such as a parent or a partner you live with. You could set an alarm to go off at the start of your time period or a couple of minutes before so you can prepare yourself for the change. Or you could pop up some sticky notes around the house or a room you relax in mostly to remind you this way. Or you could even just write it into your diary to remind yourself if you prefer to do it this way. I know I already touched on picking out your certain time during the day to unplug from the online world, but scheduling sometime offline before you go to sleep has so many great benefits to it and ones that you will be grateful for doing. The blue screen are phones admit actually keeps us awake and up at night time especially. So if you’re looking at your screen before bed, there is a less likely chance you’re going to be able to drift off and stay asleep. It can affect the quality of your sleep and leave you feeling restless once you wake up. This is why it is good to take sometime off the screen before you plan on sleeping, even if it’s only for hour an hour or fifteen minutes, it will make a big difference to your sleep. An easy way to ensure you’re following through with your goal of staying offline, its good to remove any technology from the room you’re in and gives yourself a better chance of unplugging fully. If you plan on spending time off your phone, do not then go and get your laptop out to then look at a screen once again. It defeats the whole object, unless you want to spend time off your phone only, then by all means go ahead. But removing technology from your room will help improve your sleep, produce a calmer and more relaxed environment, enables you to be more productive and gives you less chance to be distracted by things that don’t necessarily matter. Switch your phone into airplane mode to limit your distractions from any notifications that may be going off and pull you straight back in. There are so many other activities you could be doing away from your phone or computer. Its crazy how easy it can be to forget these things and even wonder what we did before the internet. But they are out there and you never know, you might discover something you actually love and will end up doing it more often now you’re away from a screen. Whether you’re off on a short break or going somewhere on holiday, it can be a great idea to ensure you spend the trip offline as much as you can. You’ve spent however much money on a trip, so why not make the most of it and do all the things you can do without being online all the time? I know what its like, wanting to post what you’re up to and share with your followers how much fun you’re having. But surely you can do that once you get back from your exciting day in the evenings or even when you return back home. Take the time to soak up the experience and do all the things you can’t do at home. Give yourself the time to have a break from all things internet and refresh your mind away. I know going away for me puts things in perspective and the same can be applied for switching off. Enjoy the time relaxing and unwinding. You do deserve it after all!